MINNEAPOLIS — It was a moment that Virginia fans, players and coaches have dreamed of, and it was magical. In the end, the confetti rained orange and blue as chants of “U-V-A” and “Wahoowa” were heard from every direction. 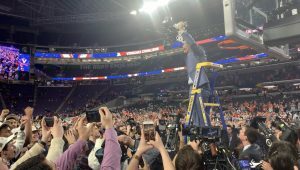 In one of the most memorable National Championship games in NCAA Tournament history, the Cavaliers prevailed in overtime, 85-77, to defeat Texas Tech and hoist the program’s first title trophy at U.S. Bank Stadium. UVA sophomore forward De’Andre Hunter picked a great time to register a new career high, scoring 22 of his game-high 27 points after halftime, while junior guards Kyle Guy and Ty Jerome combined for 40 more to lead the Wahoos (35-3) to victory. Guy was named the tournament’s Most Outstanding Player of the Final Four. Hunter and Jerome each were named to the All-Tournament Team, along with Jarrett Culver and Matt Mooney from Texas Tech, which finishes the season with a record of 31-7. It was another nail-biting, barn-burning, edge-of-your-seat, thrilling finish (because, why not?) as the ‘Hoos trailed by three with 22 seconds left in regulation. The Red Raiders had just reeled off seven straight points to grab the late lead after trailing 65-61 with 1:43 to go. 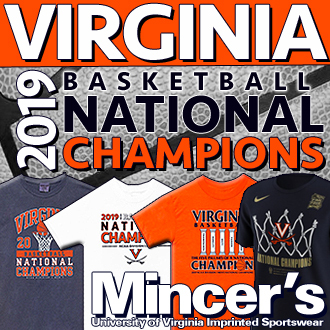 With time winding down on the season, Hunter caught the ball right in front of the Virginia bench and drilled his third 3-pointer of the second half to tie the game at 68-apiece with 12.9 showing on the clock. After an official review, Texas Tech then had one last chance to inbound and score with one second to play, but UVA’s Braxton Key got a hand on the potential game-winning shot of Culver to send it to an extra session. The Cavaliers outscored TTU 17-9 in the overtime period, making all 12 free-throw attempts they saw. Hunter got it started with a pair of freebies before the Red Raiders got five straight points out of Mooney, a 3-ball followed by a shot that he flipped up that bounced around and in, giving his team a 73-70 edge with 3:08 to go. Guy was tripped by Davide Moretti (putting the Cavaliers in the double bonus) on the ensuing trip and sank two to trim it to a point, and then after a Moretti miss on the other end, Hunter put the ‘Hoos ahead to stay with a triple from just about the same spot as the one he hit to send it to OT, and UVA led 75-73 with 2:08 remaining. Jerome, Guy and Mamadi Diakite hit six more free throws over the following minute-plus to extend the lead to eight, 81-73, with just 23.5 ticks to go. The Raiders finally got back on the board 6½ seconds later, which turned out to be their last basket of the 2018-19 season, and Key put the icing on the championship cake, slamming home a two-hand flush on a breakaway, and the Wahoo faithful began to celebrate. The first half was a game of runs, as UVA built a 17-7 lead prior to an 18-4 answer to give the Raiders a 25-21 advantage with 4:50 until halftime. 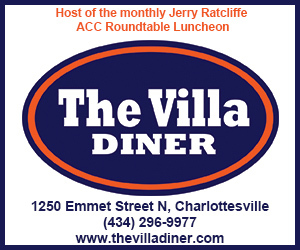 But the ‘Hoos closed strong, finishing with an 11-4 run — punctuated by a Jerome 3 to beat the buzzer that was set up by Hunter, and UVA went into the locker room up 32-29. The ‘Hoos scored eight of the first 10 points to begin the second half and led by as many as 10 (53-43) on a Guy 3-ball from the same spot he got fouled on Saturday at the end of the win over Auburn. Texas Tech would not throw in the towel, using a 16-6 spurt in less than seven minutes to tie it at 59-59.Guy went off the glass to make it 65-61 with 1:43 to go before the late run by the Raiders that set up the final dramatic moments in front of 72,062 screaming fans and a national TV audience. Tech’s Brandone Francis led the Raiders with 17 points off the bench, while Culver and Moretti each added 15. Kyler Edwards scored a dozen in a reserve role and Mooney finished with 10, as the Red Raiders shot 43 percent (27 of 63) for the game and 33 percent from deep (10 for 30). Hunter, who went 4 for 5 from beyond the arc and 7 for 9 at the charity stripe, added nine rebounds to his career mark to lead the Wahoos, while Guy, who did not come out of the game for a single second, put up 24 points (8 for 15 FG, 4 for 9 from long distance) and hauled in three boards. Jerome was magnificent all-around, finishing with 16 points, 6 rebounds and 8 assists. The ‘Hoos shot 46 percent on the night, both from the field (27 of 59) and behind the 3-point line (11 for 24), while making 20 of their 23 free-throw attempts (87 percent). 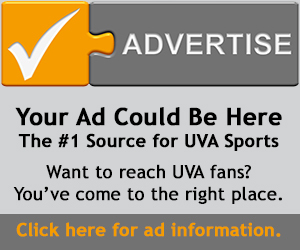 Virginia outrebounded the Raiders, 39-32, and outscored them 16-9 in second-chance points. Virginia committed 11 turnovers, compared to just 8 for TTU. Guy was mobbed by reporters at his locker after the win, and said he’s eager to get back to Charlottesville to celebrate the ultimate accomplishment, the first time for the storied men’s basketball program. Guy was asked what message he had for the doubters, the haters, the naysayers, for which he had a simple, two-word response. 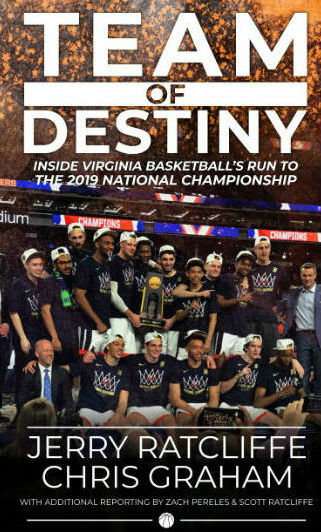 Now it’s time for Charlottesville and the UVA community to welcome home their beloved ‘Hoos, party like it’s, well, 2019, and thank this group for bringing back a title.